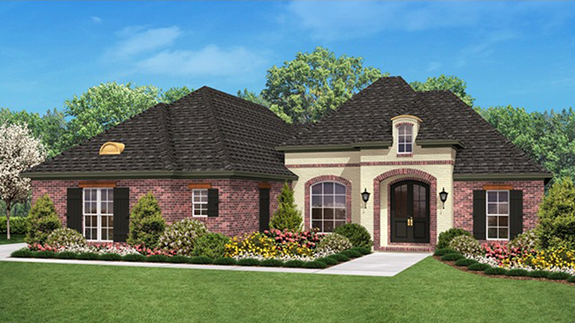 This gorgeous 3 bed 2 bath country French split plan is loaded with extras. The painted brick exterior, arch top door and window give this home lots of character and charm. You are greeted by a large foyer and open dining room and great room when you enter the door. The oversized great room has a fireplace with cabinets on each side and large windows and a French door leading to the spacious rear porch. A large kitchen with island is conveniently located next to great room for all those holiday gatherings. The luxurious master suite offers a whirlpool tub, large shower, compartmented toilet, make-up area, two linen closets, and large walk-in closet. 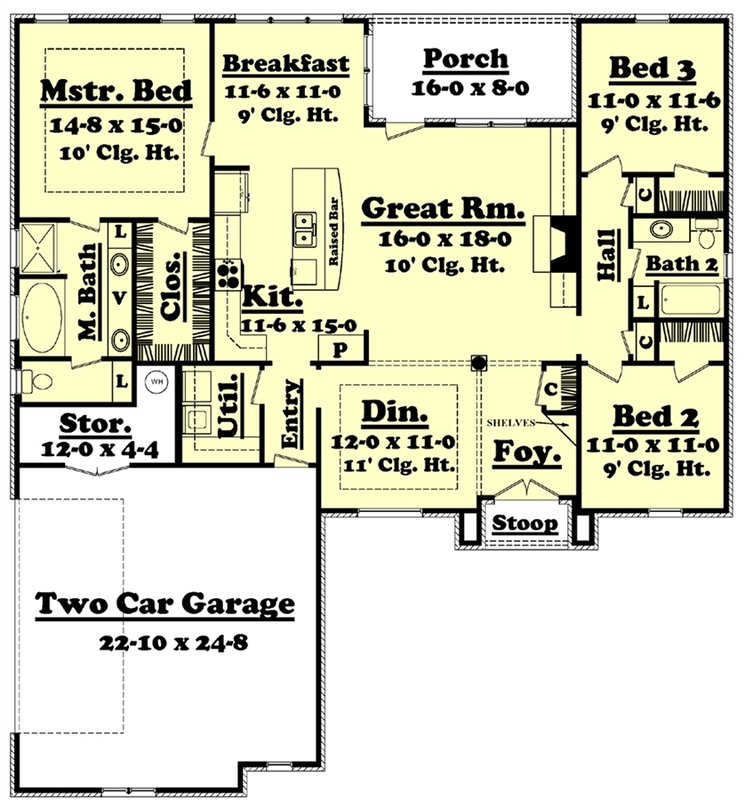 With all these floor plan options and the gorgeous front facade, this plan is perfect for any family.